From the instant our bananas are harvested, speed is an essential step in our process. Therefore, we quickly transport our fresh produce to markets around the world using several associated shipping companies. We move the bananas using our own refrigerated trucks to the seaports, speeding up the delivery process. The bananas are then loaded carefully into chilled holds for safe transportation. 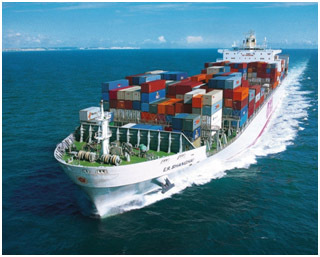 Our products are transported by vessel to distribution facilities operated by strategically associated third parties. Once we unload the products and carry out final quality checks, our distribution facilities, with their state-of-the-art refrigeration warehouses, move the bananas out as quickly and efficient as possible on their journey to customers.